Wielding his mighty hammer, THOR is the fiercest warrior of Nordic legend, famed for his supernatural strength and agile fighting abilities. 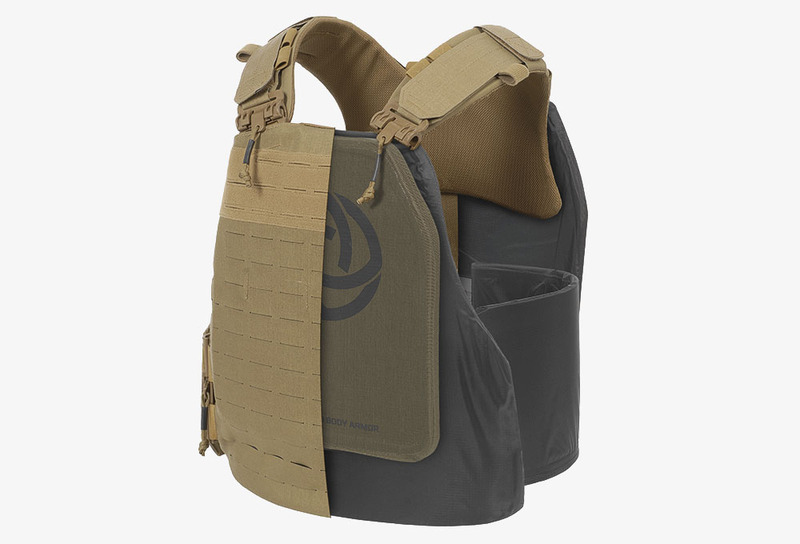 These characteristics are evident in our THOR line of load-bearing vests, designed to maximise the wearer’s ability to perform their duties, while remaining protected. Allows for a broad spectrum of mission configurations and body mapping by adding/removing and positioning components. 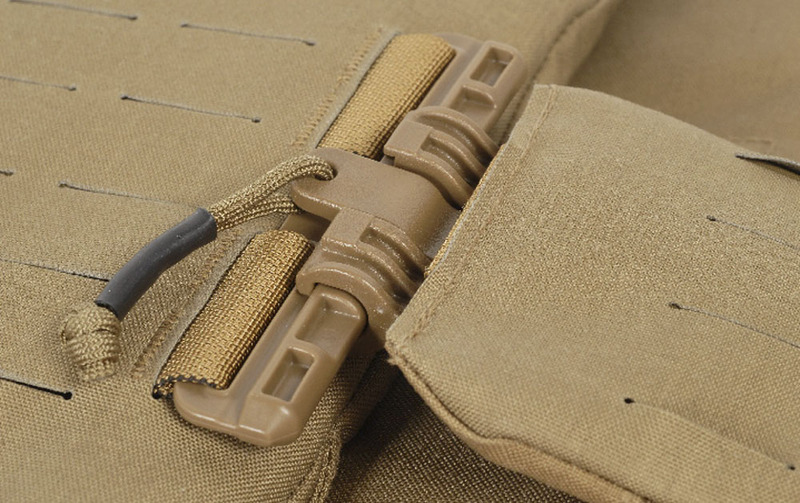 The Slot Attachment Interface pouch attachment, Tubes™ and other interfaces provide load- bearing capacity for task- and mission-essential equipment. 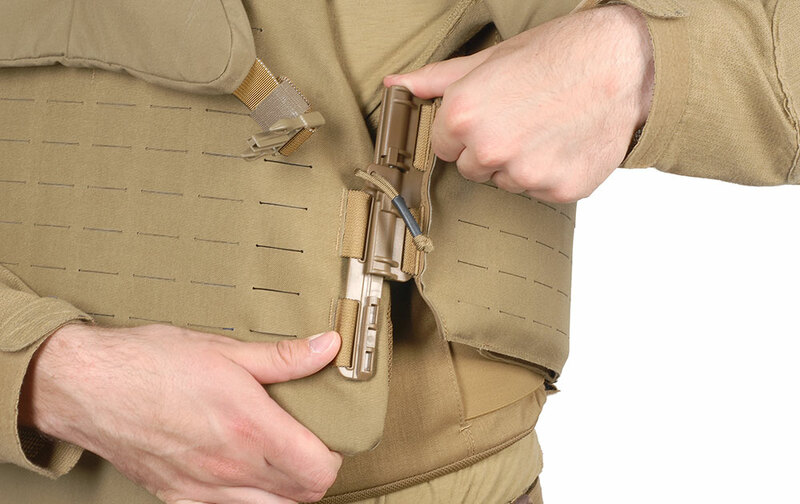 The user can scale up or down, tailoring the carrier according to the need for protection level and area by adding or removing soft ballistic elements, to the extent that the shape of the torso area can be changed completely. Sub-component compatibility within the THOR line means the parts between the carriers are interchangeable, and can transform the basic configuration. 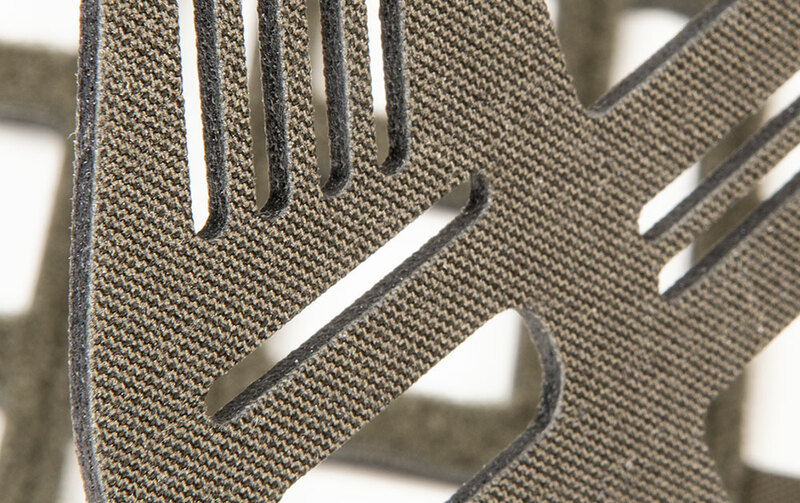 Our unique design means that the weight is not only reduced, but also brought closer to the center of gravity, ensuring a more even distribution. Covering the vital organs, the torso plates are positioned optimally for protection and balance, while the yoke distributes the pressure between the shoulders and the upper back. 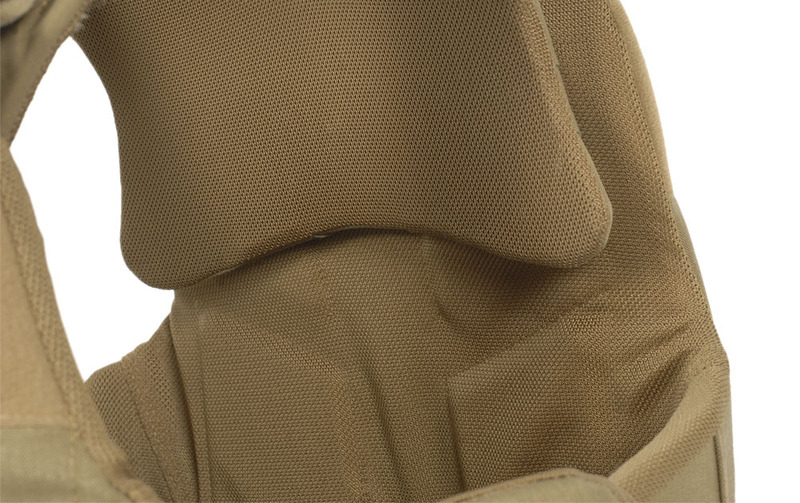 The waist comfort pads further stabilize the load by providing a large contact area and additional comfort. This enables the user to carry the load in the best position for the body‘s base of support, without pressure to the abdominal region which could hamper breathing. The NFM Alpha is a unique laminate developed by combining materials through an advanced lamination process, that maximizes the material’s durability, strength, aesthetic appearance and comfort whilst reducing its weight. 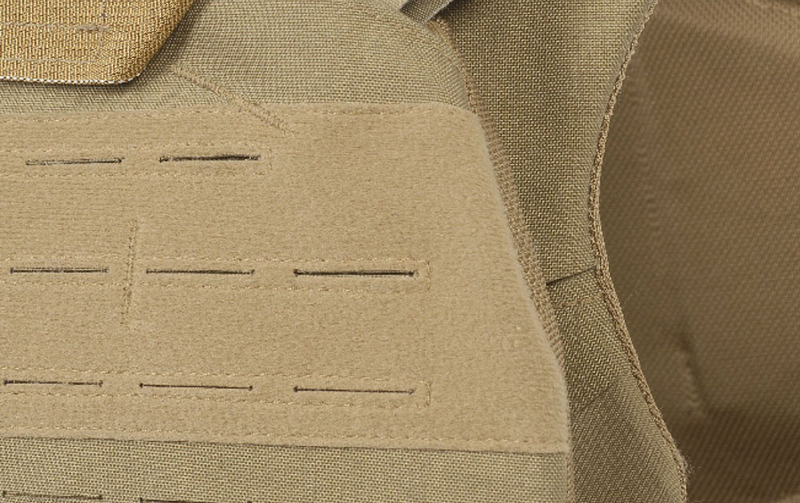 NFM Alpha, in combination with the Slot Attachment Interface attachment system, is 27% lighter and 18% stronger than the classic MOLLE-PALLS in combination with Cordura 770. The Slot Attachment Interface ensures that any additional weight is brought in closer to the body and the center of gravity, thereby reducing weight and bulk. The use of the Slot Attachment Interface has enabled us to maximize the equipment attachment and cable management capabilities. 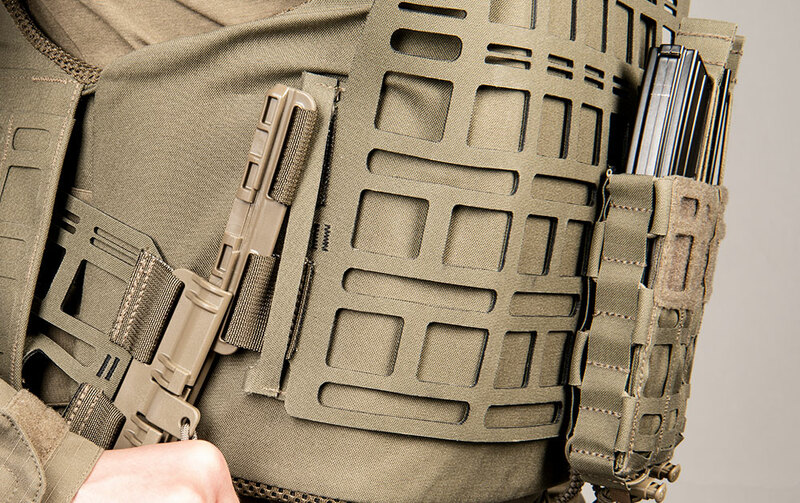 Implementing the Tubes™ system in our load bearing vests has enabled us to optimize stability and durability. Tubes™ are easy to handle and enable quick release should the wearer require first aid or extraction, and for the user or a second person to remove the carrier with a gloved hand. 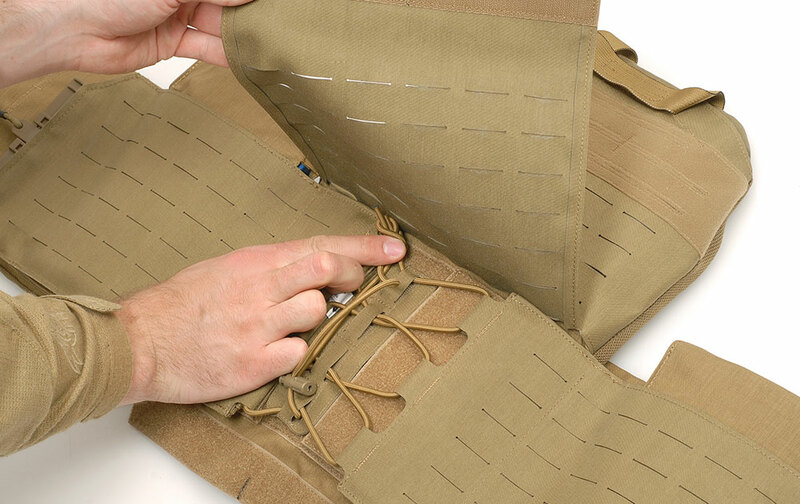 Tubes™ are also quieter to attach and remove than Velcro. Ventilation channels have been inserted in the areas where the user sweats the most. This improves comfort by keeping the user cool during high intensity activity. It also allows the user to wear the vest for longer periods without compromising their capacity. The system’s flexibility and modularity mean that it can be adapted to suit the user’s requirements, regardless of the frequency with which those change. 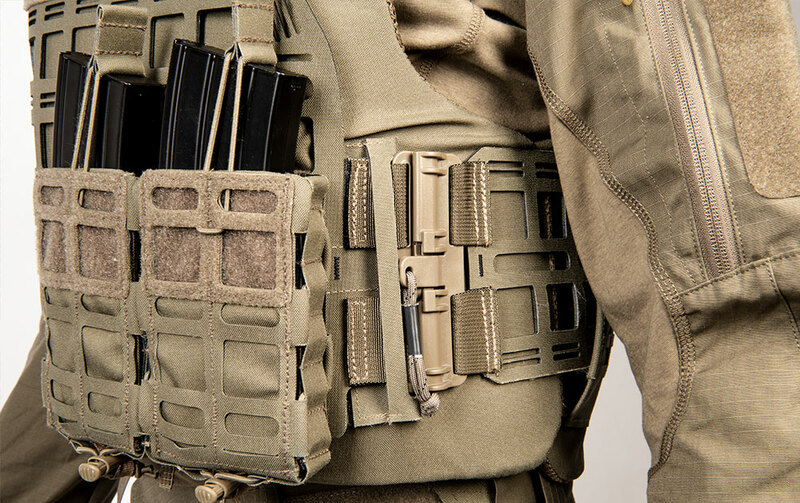 When moving into a situation that requires it, the user can easily, thanks to the scalability of the THOR system, add both hard and soft ballistic protection to the carrier, never carrying more weight than he needs to, while ensuring he is adequately protected. 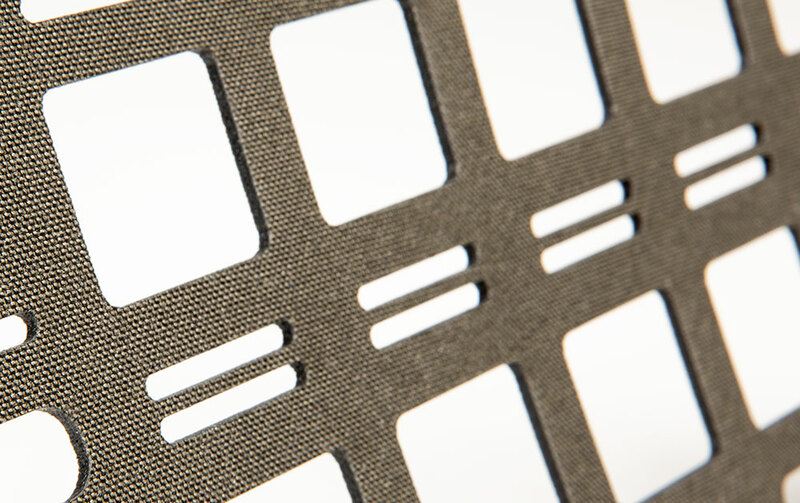 The GRID panels are made from NFM’s OMEGA fabric, developed specifically for laser cutting by combining materials through an advanced lamination process, resulting in a light, durable and rigid material. 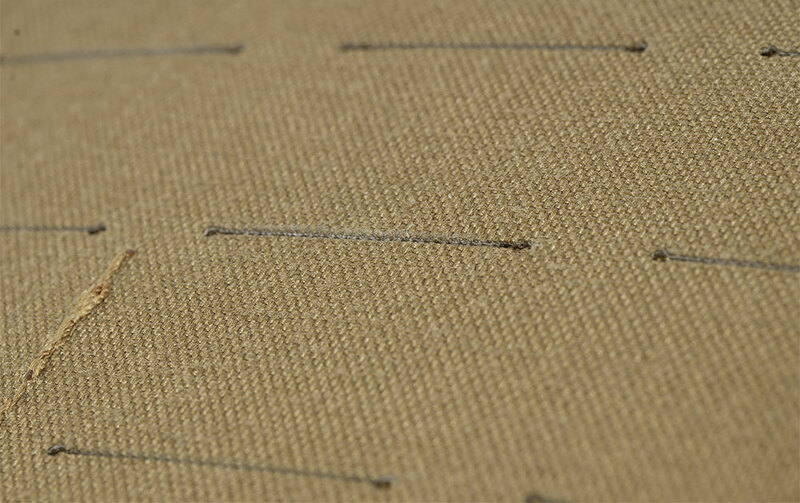 Thanks to the strength of the OMEGA fabric, it is possible to remove all fabric without a specific function, leaving only an ultralight frame and support structure. The properties of the OMEGA make it possible to create a load-bearing frame with a pouch attachment, offering superior load-bearing capacity. In co-operation with our selected scientific testing institute, EMPA Switzerland, NFM has tested a variety of configurations of FR and non-FR clothing and load bearing systems. 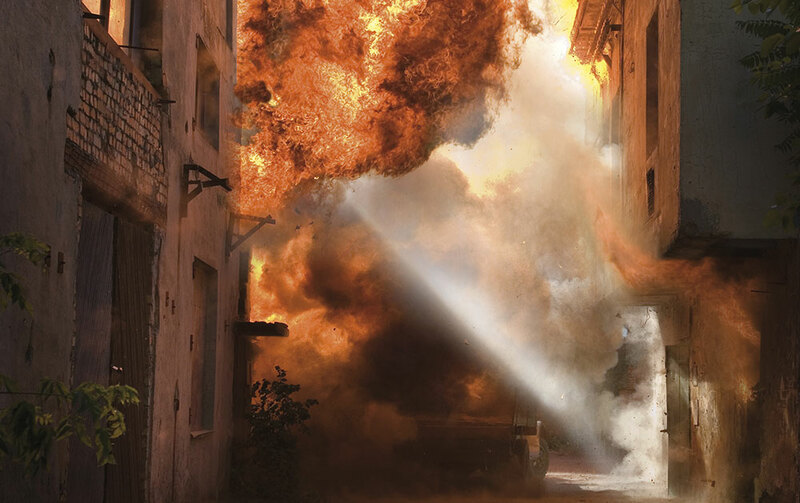 Our fabrics have been tested for protection against heat, flames, radiant and convective heat, while demonstrating that the chances of survival are vastly improved when wearing NFM’s FR personal protection. 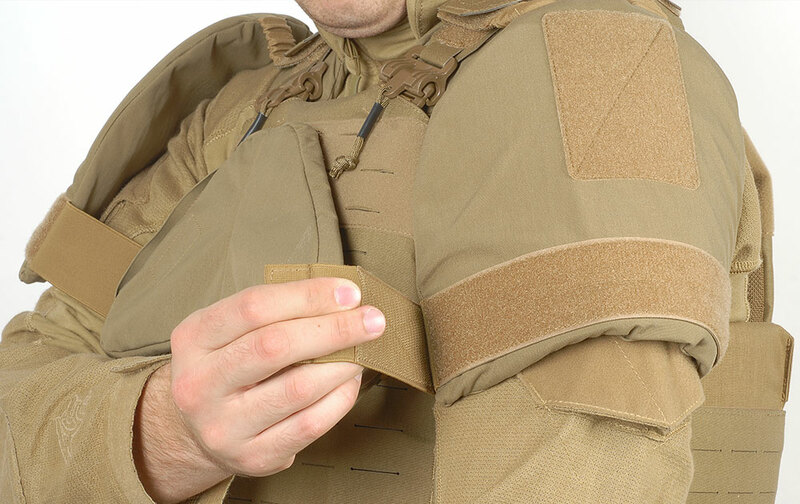 In other tests, conducted according to ISO 13506, we were able to demonstrate that the GARM FR system in combination with the THOR ballistic vest also made from FR fabrics gives significantly higher protection from fire than a similar, non-FR, configuration. NFM strives to perfect the balance between the protectiveness and the practicality of all our products, ensuring maximum survivability while retaining mobility and comfort. THOR Load Bearing aids the individual’s ability to remain undetected by managing his NIR signature, and reducing NVG visibility to the level where it helps the individual to blend in with their surroundings. 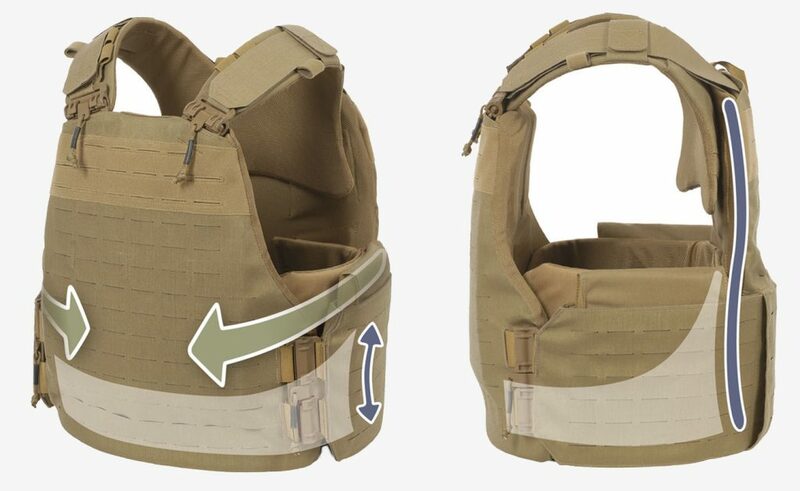 Most THOR load bearing vests are fully IRR-compliant and use special materials that allow soldiers to appear at the same reflectance level as the surrounding terrain, thus making them more difficult to detect by NVGs.